Get Best Electric Overhead Crane Price Portable Weight Various Types Girder Cranes! 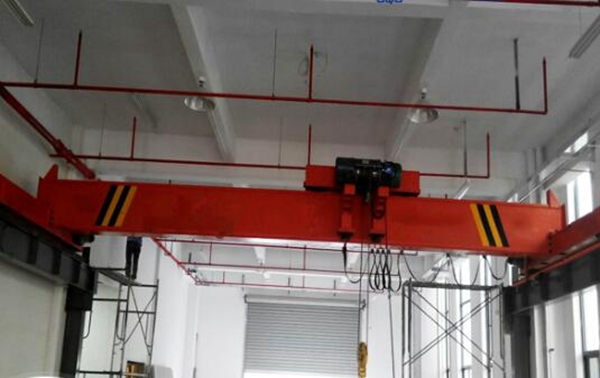 Electric overhead crane is widely used to lift and transport materials in warehouse, factory, port, storage and other working places. It applies to both light duty work and heavy duty work. 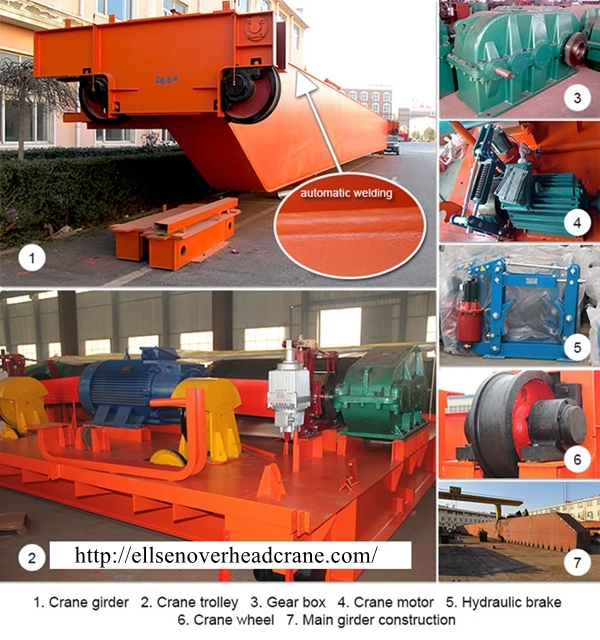 Ellsen provides types of electric overhead crane for sale, for any quation about cranes, just send crane quotation to sales@ellsenoverheadcrane.com, and we will reply to u asap. 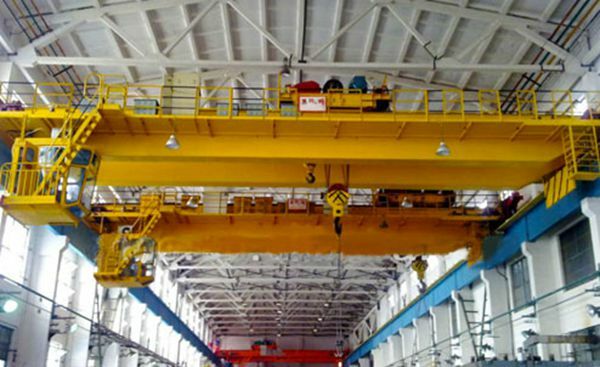 Electrical cranes have various types, such as cheap bridge foundry crane with hook, explosion proof bridge crane for coal mine, workshop electromagnetic double girder bridge crane, portable crane for factory use, warehouse double girder overhead crane, warehouse single girder low headroom overhead crane, workshop metallurgy overhead crane, low headroom bridge crane for factory, cheap crane grab. Ellsen Group, one of famous crane manufacturers, has changed the way to produce eot cranes with advanced technology. Ellsen travelling cranes have been exported to more than 50 countries and regions, such as USA, India, Pakistan, Bengal, Philippine, Brazil and won high praise from our clients. What’s more, Ellsen also pays attention to eot crane design. 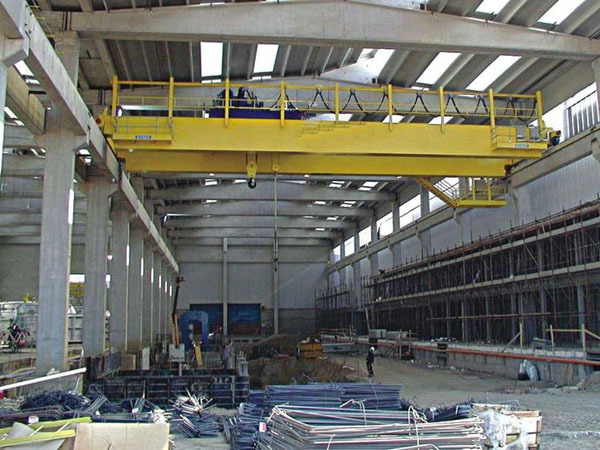 With light weight, compact structure, thus the clients are satisfied with overhead electric crane. How to purchase reliable cheap cranes in China? To buy electric overhead cranes, just choose Ellsen workshop european eot crane or warehouse european eot crane. This low price electrical overhead travelling crane is best quality electric girder crane. For discount electric overhead travelling crane, Ellsen also ensures reliable performance and cuosomized service, such as electromagnetic overhead crane design, european eot crane design. According to practical needs, customers can choose best price european eot crane. 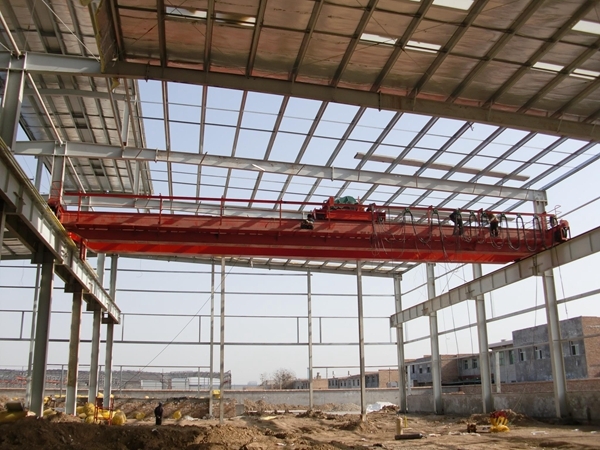 To save european eot crane price for grab crane factory, some overhead electric cranes are pretty good, like cheap european eot crane, low price warehouse eot crane. Low eot crane price is an advantage of Ellsen, Ellsen provides cheap eot crane with top quality! 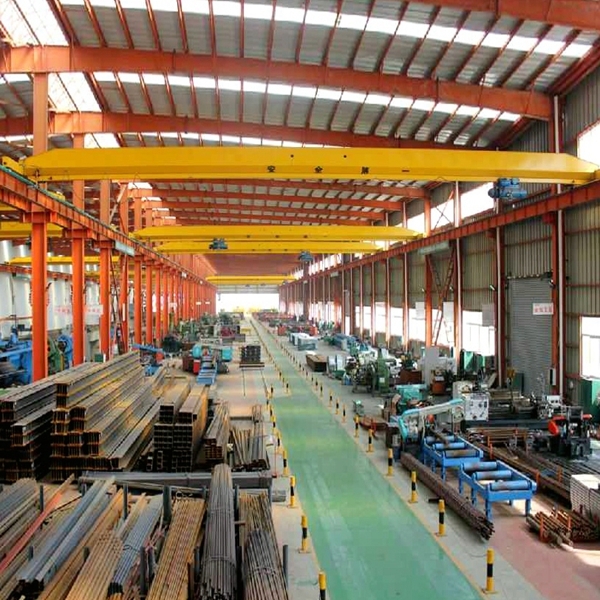 Overhead cranes have wide application, they can support material processing and handling flexibly and steady. First is assembly. 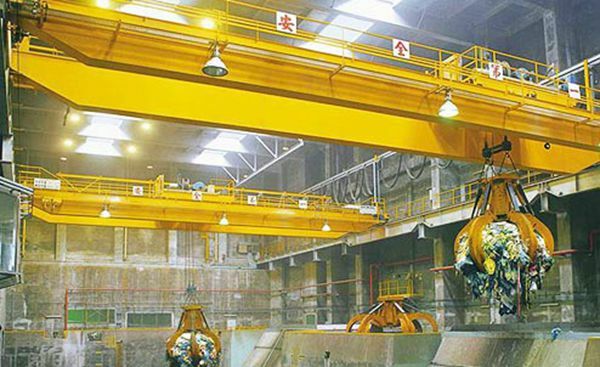 Overhead electric cranes transport goods through producing line. This way can save much labor resource and increase efficiency. Second is transportation. For some finished products, they needs transporting from one position to another position. Electric bridge crane can help finish this process. Third is storage. 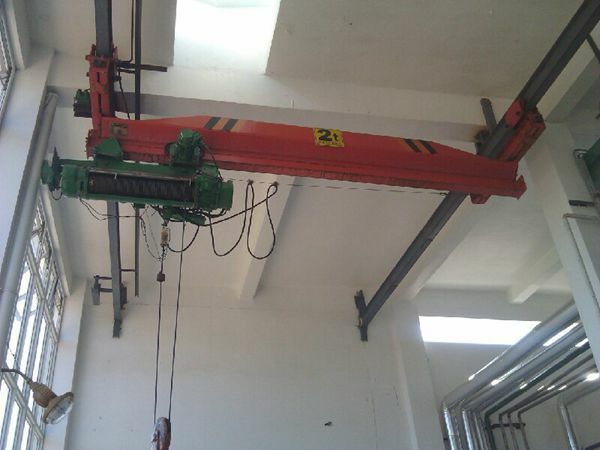 Warehouse crane can accomplishing loading, unloading and transporting light item and heavy item in precise position. Fourth is warehousing. 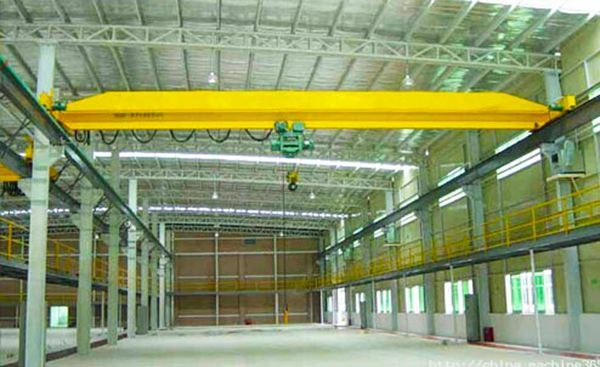 Large overhead crane has high capacity, it can move heavy products easily and safely. For many companies, they want to save cost in manufacturing, distribution and transportation. How to do this? It need a cost-effective bridge crane! It can reduce overall handling cost, cut storage, shorten delivery time, increase efficiency, and improve working condition and customer service! 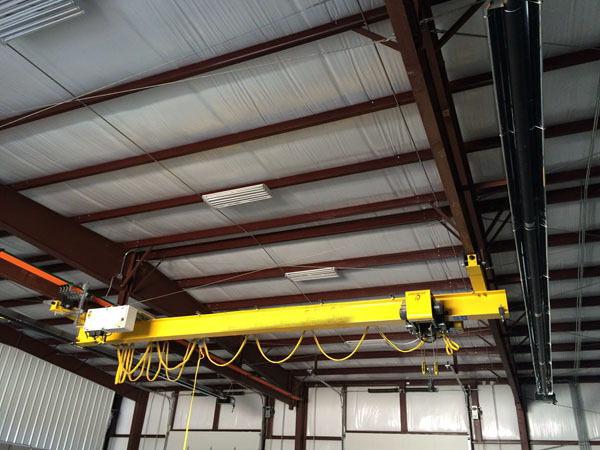 Overhead crane is important for material handling. Almost every industry adopts material handling systems, such as aerospace, warehousing and distribution, appliance, retail, automotive, plastics, beverage, pharmaceutical, chemicals, paper, consumer goods, materials processing, e-commerce, manufacturing, food, hardware, hospital. Single girder can lift weight less than 20 ton. It is commonly applied for lighter duty. Ellsen provides a variety of hoists, hooks and lifting accessories to match with single girder EOT cranes, such as overhead chain hoist, wire rope hoist and explosion proof hoist. 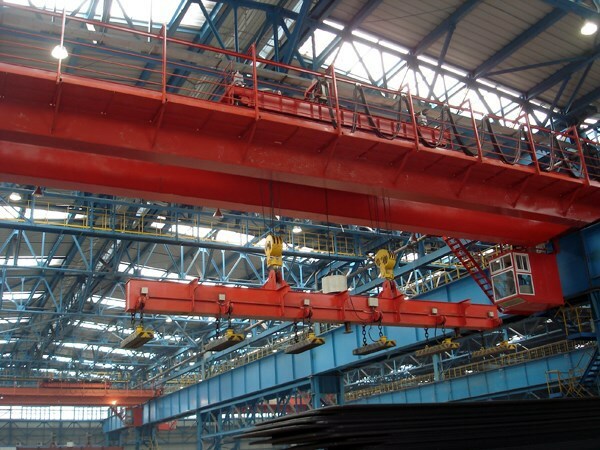 For heavy duty, double girder EOT cranes are wise choice! 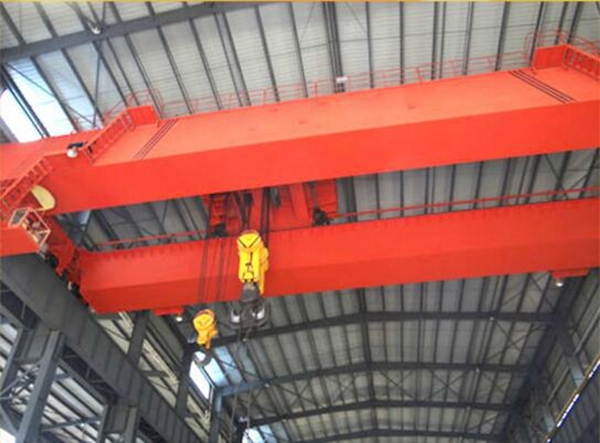 With two horizontal beams, double girder cranes can distribute the weight evenly, manage the stress better. Double girder travelling crane mainly refers to the crane with more than 20 ton lifting capacity. How does Ellsen turn electric crane system to automatic? In recent years, with the wide use of computer, Ellsen has paid more attention to the computer. In the beginning, Ellsen starts to apply computer to assist design electric crane system, and later uses computer to make modular design of overhead crane. 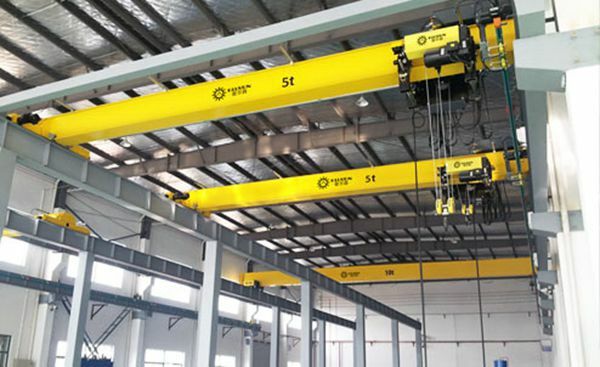 Under the strict scientific theoretical guidance, the computer can accomplish the overhead crane design about structure, mechanism, components with multi-level of standardization and modular units. 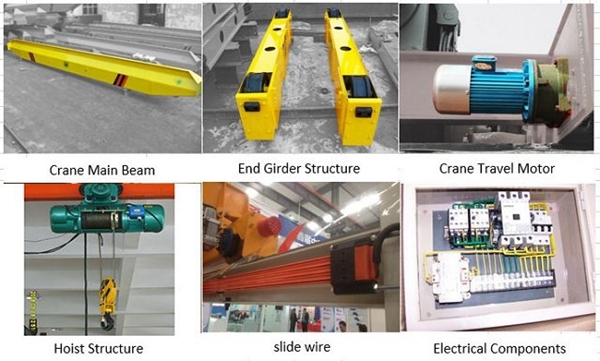 Modular units design is not only an innovation of design way, but also will make important influence on the technology, production and manage level of crane industry, thus it will accelerate the speed of old products upgrade and new electric bridge crane development. The progress of electric bridge cranes refers to a few modules those need modified. When design new crane, just choose different modular units and make new combination, which can improve the level of versatility and change the products of single small batch into module production of relative batch. In this way, a few modular units can also combine into cranes of various function and configuration to meet market need and increase competition. Therefore crane manufacturers can save much crane cost. How does Ellsen make accurate position by lifting crane? Accurate position is the main requirement of electric bridge crane. 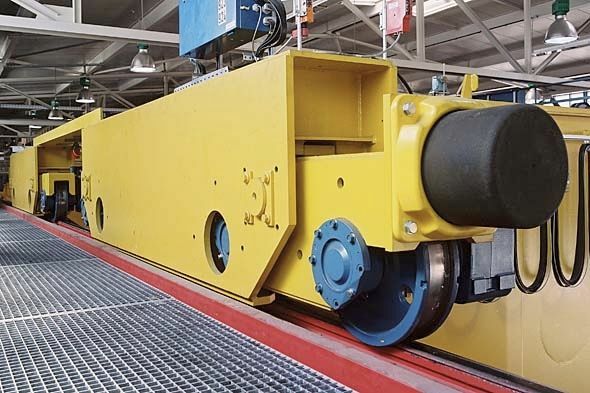 Ellsen Crane Company ensures this standard through steel plate hole, laser, gear chain and angle encoding disk (one kind of digital encoder measuring angular displacement). 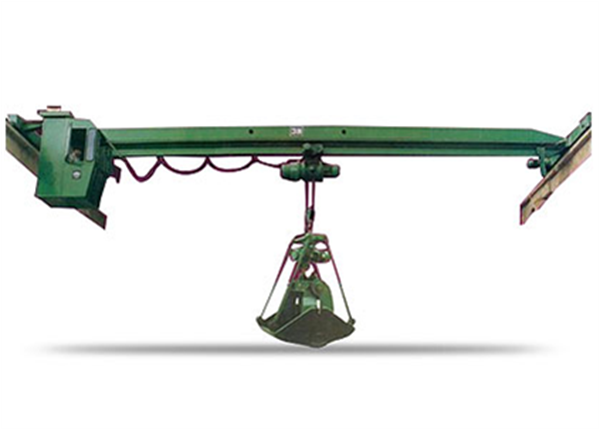 The progress of lifting speed and brake in accurate positioning is made through crane hook with low running speed. The brake system of electric overhead crane also applies microprocessor to control and monitor. Control system used in overhead crane can not only save human, enhance working efficiency, but also improve the working condition of operator. The anti-collision device of distance detection adopts radio signal type. Usually the overhead crane sends a warning signal first, then the crane system decreases the speed to 50%, finally the motor power is cut to control the crane. 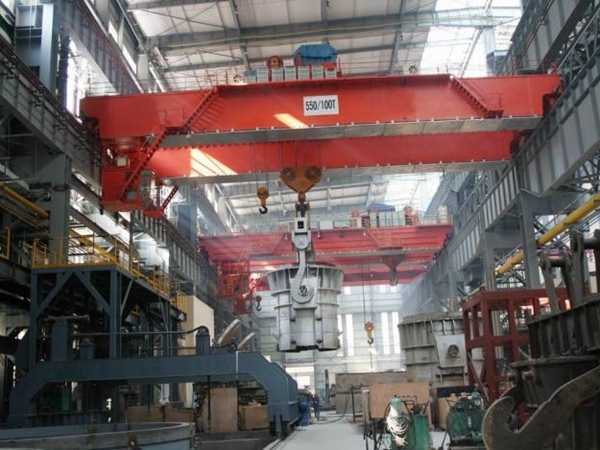 Electric overhead crane, also known as EOC has acquired a reputation for being the centerpiece of efficiency in matters of running factories and warehouses. The movement of large items, which are usually heavy and or bulky is very challenging. The energy needed to move such items around a factory floor physically is too much to run an efficient operation. There are also the safety issues involved in moving large items. A solution to this is using an overhead crane that hoists item up and moves them to different parts of the building overhead. 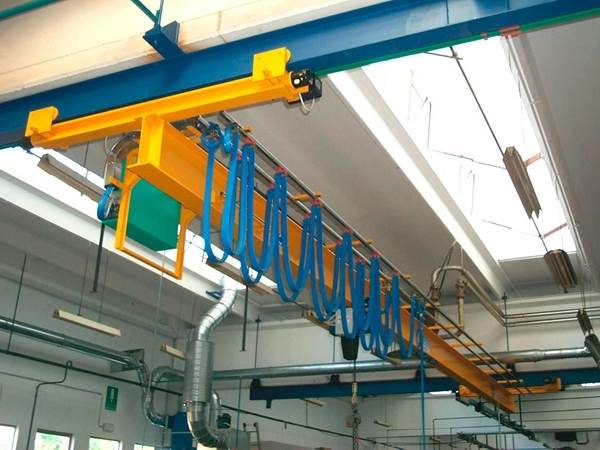 One of the most effective overhead cranes is the electric version. 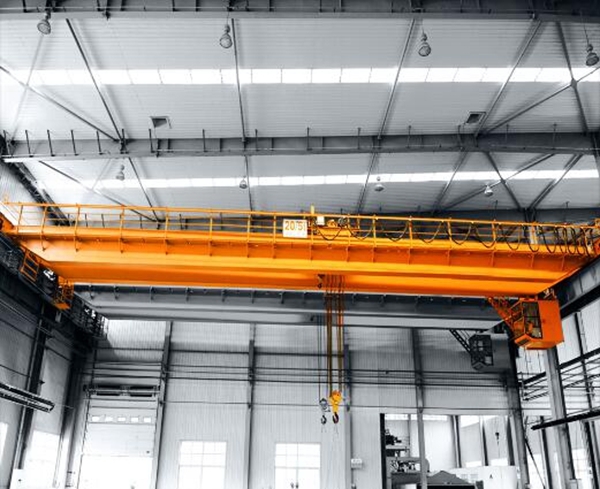 The electric overhead cranes are some of the most popular cranes due to their power, ease of maintenance and ease of running. There are several version of this type of crane. Herein is a brush over the cranes. 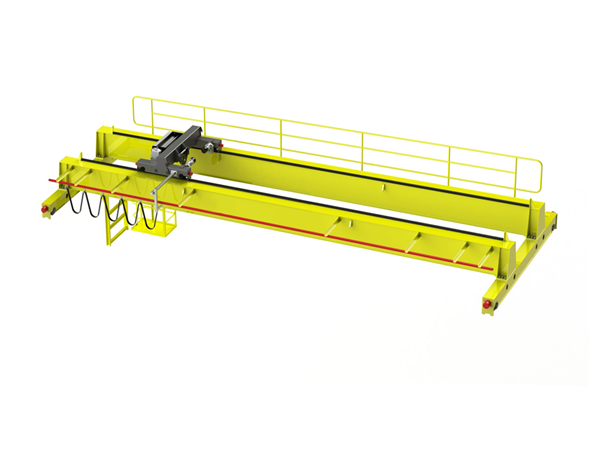 The Single Girder EOCs The crane consists of a single girder, the part that supports the hoist. The bridge girder is in turn supported by two end trucks on the sides. 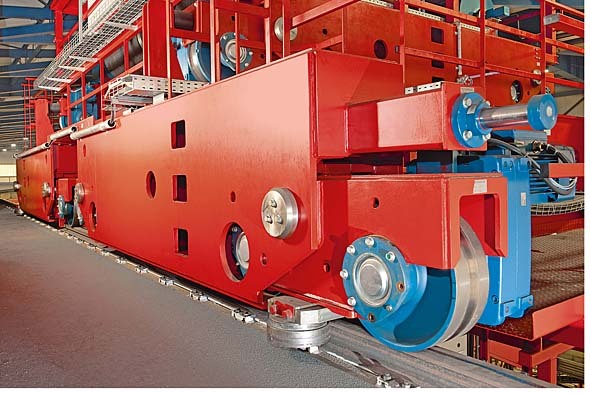 The girder also features a trolley mechanism which enables it to move the length of the end trucks. Typically, such cranes have a span of between 20 and 50 feet. The lift height is typically 15 to 50 feet. The load capacity can be anything from 1 ton to 15 tons. They are the best option when the crane is infrequently used. 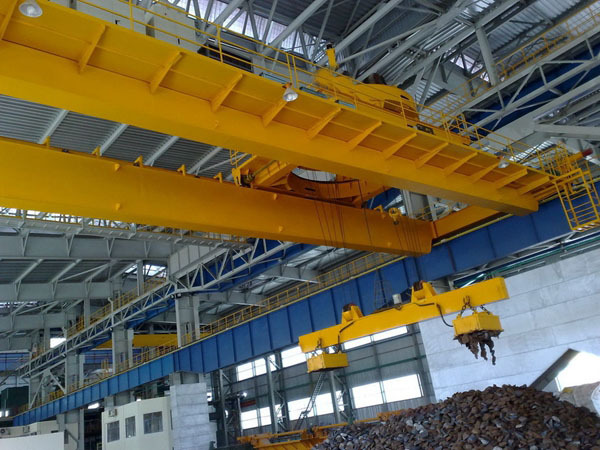 Double Girder EOCs This type of crane is similar in form as the single girder. However, one main distinction is that this version of the EOCs consists of two bridge girders. The majority of this types of crane have the girder placed on top of the end trucks, with very few being placed on the flanges. Such EOCs have an increased weight hoisting capacity to the tune of around 9 to 10 times as they can handle up to 100 tons of load. They are the best option for intermittently to frequently used cranes where the loads have a high weight. Due to the weight capacity, they are also good to use in cranes that require the installation of a magnetic mechanism. Gantry Cranes These cranes are quite different from the above two, in form and structure. For one, the bridge girder is permanently fixed to the supporting structure, usually two or four legs. The legs run on a rail or other runway systems that are installed on the floor. This negates the need to have a runway that is installed above. Monorail These types EOCs are similar to the single girder EOCs with the difference being that the hoist mechanism on the bridge does not move. The Top Running Cranes Top running cranes have the bridge laid and supported on top of the end truck girder. They are most common for cranes that require a high load capacity. The Under Running Cranes In contrast to the top running cranes, the under running cranes are supported by the bottom flanges of the end truck girder. The weight load capacity of such cranes is usually a maximum of 15 tons. They, however, offer better use of the bridge girder width and runway girder length, offering maximum use of the building space. If you own a business, you know just how important it is to find ways to cut costs and save money. One way to cut back on expenses without sacrificing quality is by making smarter purchasing decisions when it comes to the equipment that your business uses in its day-to-day operations. 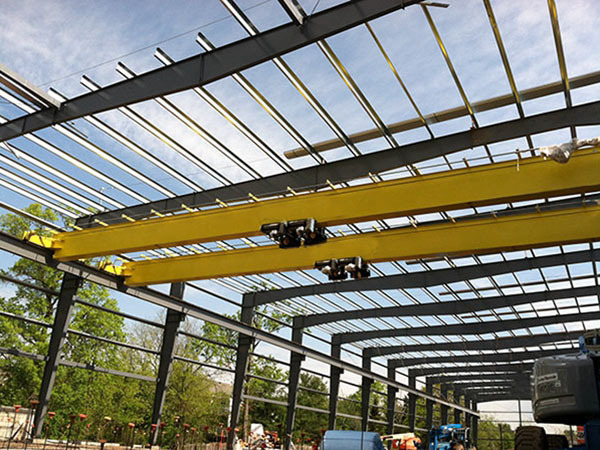 For instance, these tips on how to save money on an electric overhead crane can help you significantly cut back on the amount of money you have to spend on one of these powerful devices. If you are on a tight budget, buying used equipment is always an option. Unfortunately, with overhead cranes, that can sometimes be challenging. These cranes are often designed to be site specific, making it difficult to find one that will fit perfectly in your factory or warehouse. If you are going to look for used cranes, you should consider looking for freestanding cranes rather than cranes that mount to the sides of your building or its overhead structure. That way, you are more likely to find something that will meet your needs. Before buying used equipment, always carefully inspect it for any signs of damage. You should only buy equipment that is in like-new condition. It is usually a good idea to have a used crane inspected by an independent third-party before investing your money to make sure that it is in good condition and is safe to use. If the idea of working with used equipment doesn’t appeal to you, you can also buy a brand new crane directly from the manufacturer. By eliminating the middleman and going straight to the manufacturer rather than purchasing from a distributor, you can often get a better deal. Best of all, you can ensure that the crane is sized perfectly for your location. You may need to reach out to several different manufacturers before you find one that is willing to work directly with you. However, it is well worth trying since you could wind up saving a lot of money by going this route. 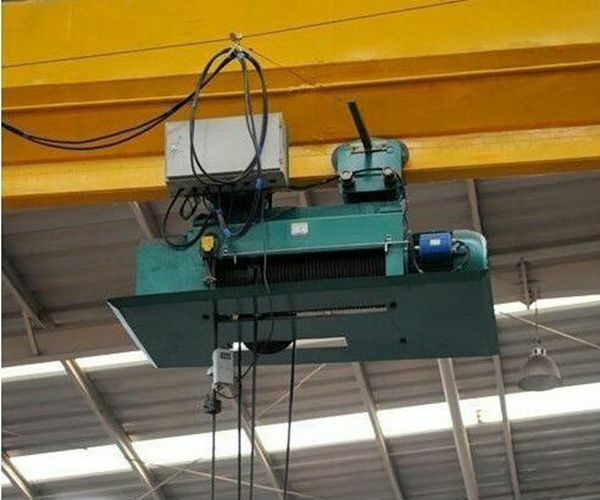 Saving money on an electric overhead crane takes a little bit of creativity. However, as long as you are willing to think outside the box, you can often find bargains on these cranes. Just be sure that you are investing in a high-quality piece of equipment that is in good shape. Any equipment that you use for your business needs to be safe to operate. Because of that, you should only buy cranes that are made by reputable manufacturers and that don’t have any defects. Additionally, you should make sure that you and all of your workers are properly trained on how to safely operate the crane. If you have any questions about how the crane works, the manufacturer or independent party that you bought it from should be more than happy to help you resolve them. As long as you shop carefully, you should be able to find an incredible deal on a high-quality electric overhead crane for your business. Why does Ellsen rank top in the cranes industry? 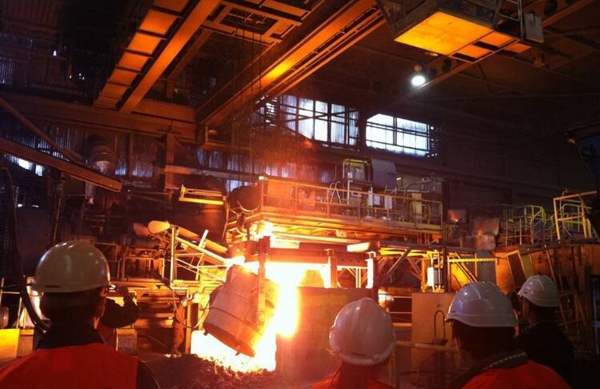 Due to the application of new material and technology in steel industry, the steel quality has improved. When design the rigidity of main girder, higher allowable stress can be used, not needs very high safety factor in order to reduce the amount of crane material (it doesn’t means dangerous) and decreases the weight and price of crane system. Once the cranes’ weight reduce, it can adopt driving device with lower power to start so that reducing power and saving cost. 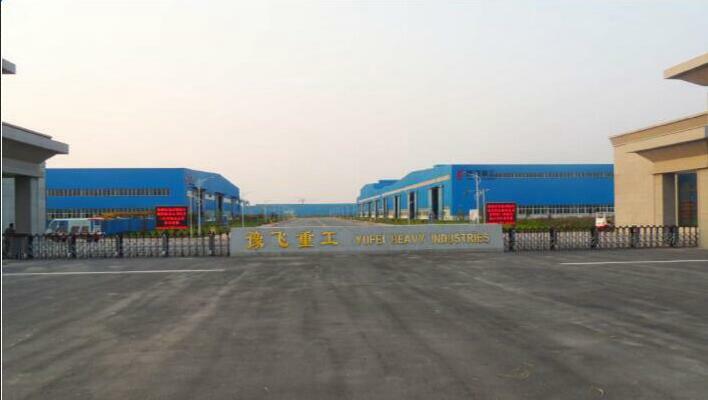 Most processing equipment adopt high accurate and effective processing center and automatic machine with digital control. Ellsen uses new technology to improve quality & efficiency, save labor & cost. Eot crane design is based on a few parameters, such as rated load, lifting height, span, power source, materials to be lifted, crane working time per day, crane working environment, crane traveling distance. The more specific parameters customer provides, the more suitable crane customer gets. Ellsen has experienced engineers to design cranes for customers. For any question about crane device, Ellsen engineers give professional and fast explanation. With since and skilled service, Ellsen has won many repeat customers. Ellsen designs the crane according to national industry requirements and international rules. Ellsen always puts the customers’ benefits and practical needs in the first place, thus Ellsen designs every crane according to working condition and crane specifications. To meet national safety standards, Ellsen crane is equipped with complete safety protection devices, such as overload protection device, over-speed protection device, brake, buffers. Every crane can be designed to match with different electric hoists. For example, the common bridge crane is used with common wire rope hoist and electric chain hoist. For special working condition, such as high temperature, industrial crane with metallurgy electric hoist is better. For explosive and flammable environment, explosion-proof electric hoist is great.